Seventy years ago this month, on July 28, an eyewitness to the Nazi atrocities against Europe's Jews brought the horrifying news directly to the most powerful man on earth. It was the moment that President Franklin D. Roosevelt came face to face with the Holocaust. 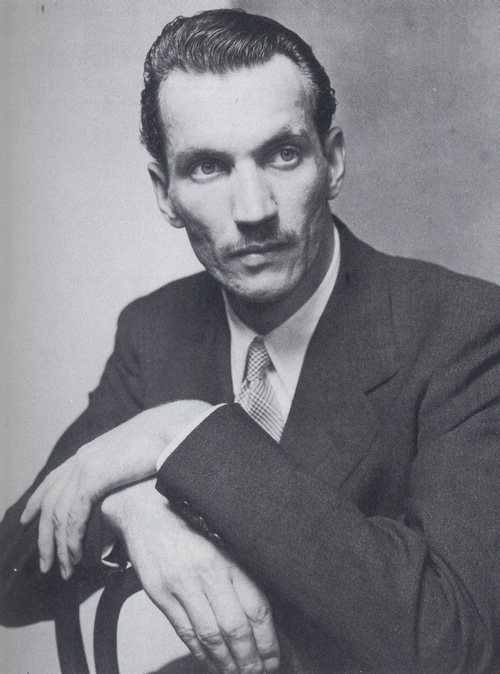 By the time he was 26, Polish underground member Jan Karski had been imprisoned by the Soviets, tortured by the Gestapo, and nearly drowned while escaping from a hospital in German-occupied Slovakia. After all he suffered, it would have been understandable if Karski had ended his service at that point. Instead, he chose to risk his life again, in order to alert the Free World about Hitler's mass murder of European Jewry. Days later, Karski and a compatriot, disguised as Ukrainian militiamen, took a six-hour train ride to a site in southeastern Poland called Izbica. It was a "sorting station." When Jews were shipped to a death camp, Karski learned, the Germans would first take them to Izbica, rob them of their last belongings, and then send them off to the gas chambers. Determined to tell the world what he had seen, Karski made his way across occupied Belgium, Germany, and France, his life in danger every step of the way. Thanks to an injection from a sympathetic dentist that swelled his jaw, Karski was able to avoid conversations that might have revealed his Polish identity. From France, he hiked across the Pyrenees mountains into Spain, and then traveled to London. British officials were chilly. Foreign Minister Anthony Eden showed little interest in Karski's account of the slaughter of the Jews, and Prime Minister Winston Churchill sent word that he was too busy to meet the Polish courier at all. Karski headed for Washington. On July 28, 1943, he met with President Roosevelt, in the Oval Office, for more than an hour. Karski began by describing the activities of the Polish underground. The president listened with fascination, asked questions, and offered unsolicited advice, some of it a bit eccentric—such as his idea of putting skis on small airplanes to fly underground messengers between England and Poland during the winter. Then Karski turned to the plight of the Jews. Ironically, though, just six weeks earlier, the Roosevelt administration had established a U.S. government commission "for the protection and salvage of artistic and historic monuments in Europe." As he rose to leave the Oval Office, Karski asked the president if there was any message he wanted to send to those suffering under the Nazi jackboot. The president leaned back, his trademark cigarette holder balanced in one hand, and said, "Tell them we shall win this war!" Despite President Roosevelt's lack of interest in the fate of the Jews, Karski did not lose heart. In the months to follow, he authored a harrowing book-length account of the situation in Hitler's Europe, called "Story of a Secret State," and delivered hundreds of lectures around the United States about his experiences. Little by little, the story of Karski's efforts to alert the world about the Holocaust has begun to gain public attention, especially in schools. It was included in a recent series of animated shorts about America's response to the Holocaust (http://dep.disney.go.com/theyspokeout/), created by The David S. Wyman Institute for Productions. And at a White House ceremony earlier this year, Karski was posthumously awarded a Presidential Medal of Freedom. It was a fitting tribute to a man whose life symbolized the need to speak out when—as President Obama recently put it—"so many others stood silent."